Sunday, March 24th from 4:00 to 6:00 pm. 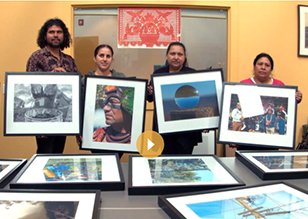 The documentary illustrates how a group of Latino photographers in West Marin have opened doors between local ethnicities and strengthened community support of social equity and respect for diversity, through creativity. This event is free with light refreshments. The trailer screening will be followed by a conversation with photographers and teachers from the Latino Photography Project. Learn more about the Dos Rivers project. Support the Dos Rivers project. © 2019 GALLERY ROUTE ONE | All Rights Reserved. Section 501(c)(3) non-profit organization.